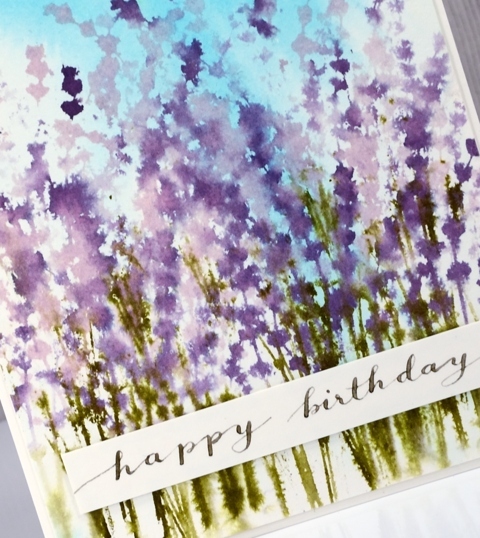 Wildflowers again today because I love the way this stamp creates such a pretty image when wet and blurred. I left the blue out of the mix this time and stuck with purples. 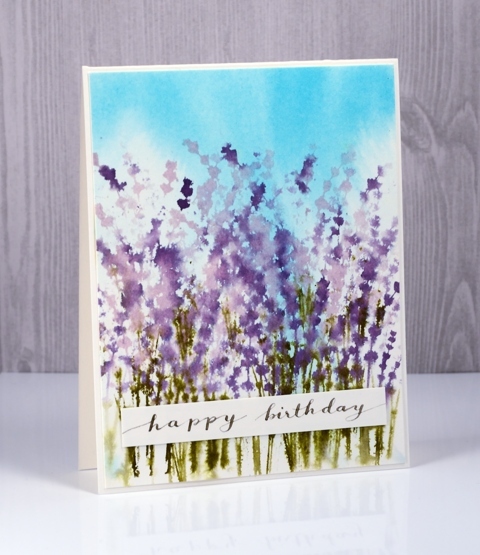 Before stamping the flowers I painted a pale sky on my watercolour panel by adding broken china distress stain to one end of a piece of wet hot pressed watercolour paper then tilting it so the colour drained down into the panel. This technique made some areas blue and others pale like clouds. 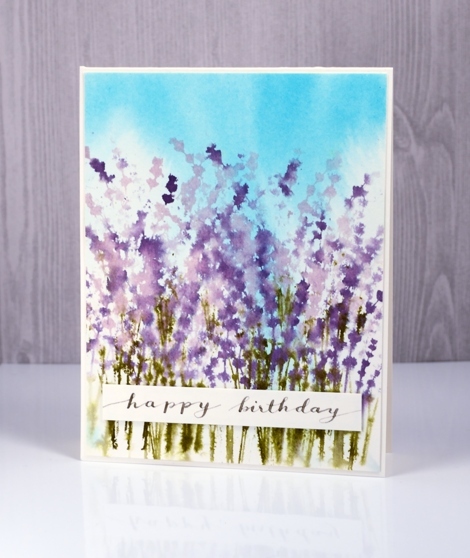 Once the sky was dry I inked only the tops of the flower stalks in milled lavender stain, added a few dabs of dusty concord and stamped half way up the panel. I inked again and stamped further down, then to fill the bottom of the panel I inked with the purples and green on the stems. I spritzed both the stamp and the paper lightly before stamping. To finish it off I added a handlettered sentiment. I had the same impression as Ingrid, field of lavender. Just lovely! Such wonderful flowers and reminds me of our local bluebonnets popping up all over in TX. Spring is here and they are just lovely. Lovely – hand lettered, wow!